Forget Ugg boots. Invest in these gorgeous, handmade moccasins and mukluks for your winter wear. Take a break from the norm and invest in these soft, versatile and weather-resistant moccasins and mukluks. 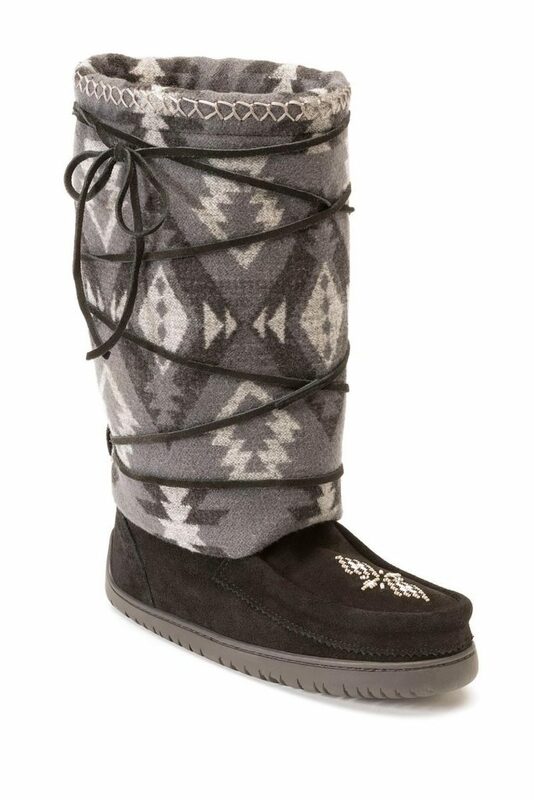 LL Designs moccasins are 100% handmade to order with patience and love and are probably the comfiest boots you’ll ever wear. 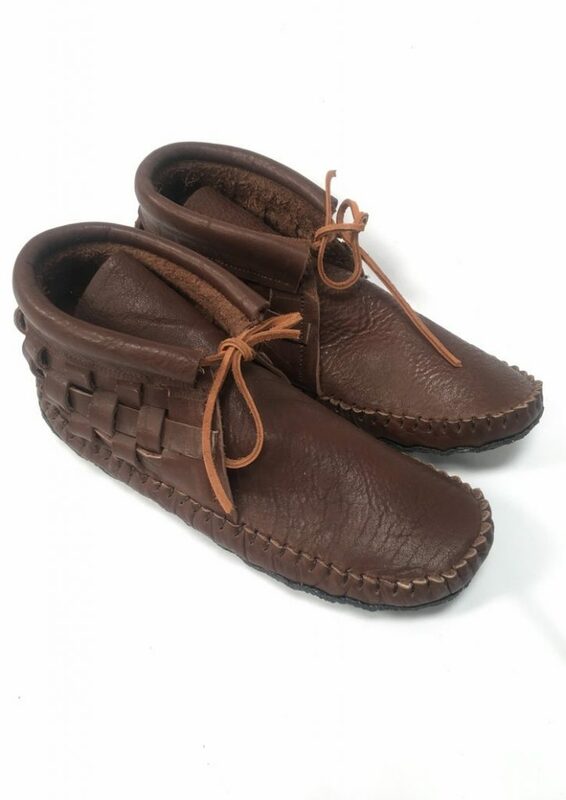 Each moccasin is lined with a pillowy insole and supple deerskin for added comfort (which means they’re best worn barefoot!). And right now, LL Designs is offering Native Max Mag readers an exclusive deal! You can get 25% off plus free shipping until 12/21/17 with coupon code Moc25. Get your moccs for 25% today! Meet the Designer: Owner and artist Lloree Dickens (Arikara/Hidatsa/White Earth Chippewa) combines traditional techniques with contemporary color and designs when creating her moccasins. Rebekah Elk, Ojibwe from Chippewas of the Thames First Nation, is an artist and co-owner of social enterprise clothing line AKA Cruz Andina who creates beaded moccasins. Although there’s not a selection to shop from, Rebekah makes them by hand in 3 weeks after the order is placed. She lets her customers pick the leather color along with the color scheme of the beads. 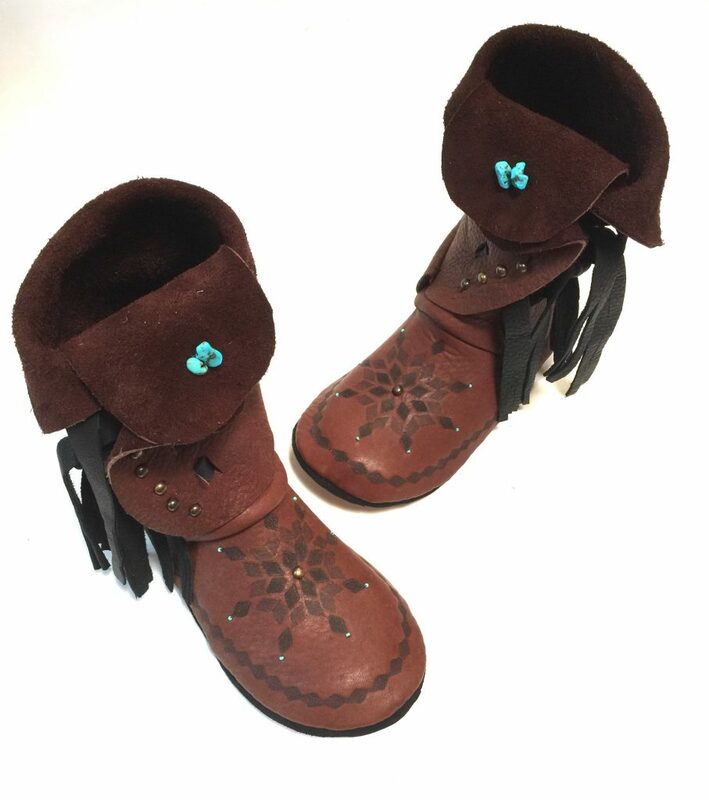 Manitobah Mukluks is an Indigenous-owned manufacture based in Canada. 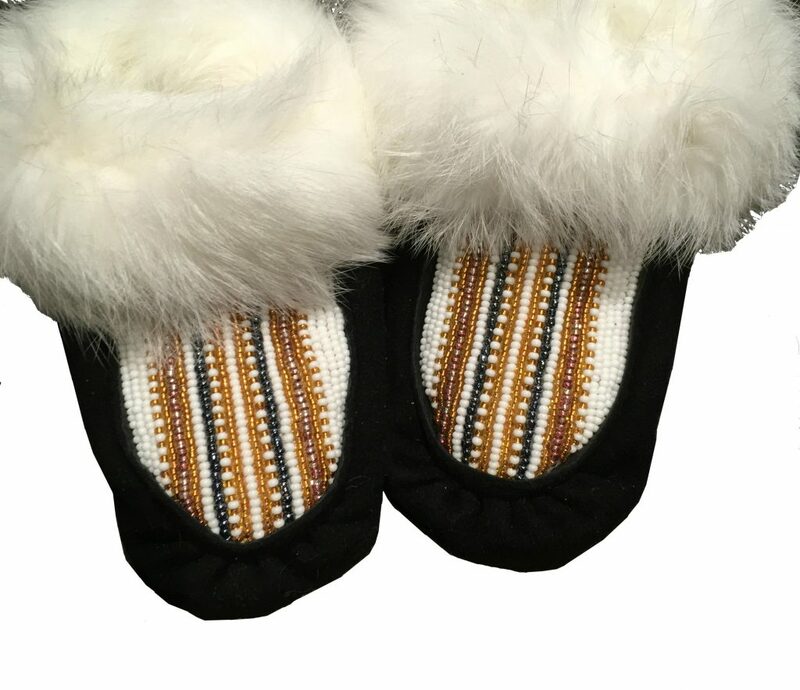 They make a variety of products such as mukluks, moccasins, gloves and more at their production facility in Winnipeg, Manitoba.